Extended versions of Another Silent Way, Universe of Can When Back, and A Very Silent Way. 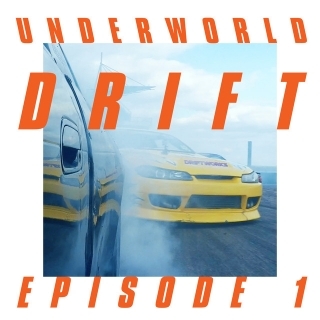 Now presented via all major streaming/download platforms, DRIFT Episode 1: DUST features extended and developed versions of each of the Thursday releases, including collaborations with DJ and Producer Ø [Phase], Australian experimental impro-trance band The Necks and a piece made to reflect the ongoing work of the award-winning Manchester Street Poem project. I can't get any of the links or versions to work. I think they will be released tomorrow. Last edited by holden; 12-05-2018 at 04:37 PM. If anyone finds this on a lossless site (Qobuz, 7Digital), please let me know! I think it'll be released to those on Thu. or Fri. It's available on Qobuz right now! The "A side" is possibly the hardest and rawest set of material they've ever released - 020202 with Barbara Barbara DNA. Smashing and flows outstandingly well. Then there's the ambient back half - love the flawless transition from Another Silent Way to Low Between Zebras, and facinated, if not also perplexed, by the expansive arbitrary meditation of A Very Silent Way, a song so unintentional it's miles from something Underworld would have ever released 10 years ago. If we've lost the "closeness" we felt from them improvising structures and setlists on stage, we're getting it back here, in how fresh, sharp, and free these songs are. It's shockingly close to the source and wilder than Riverrun. Hold on best you can. got it on apple for $10 (yikes). after the third reveal i really started to suspect that i'd like this a lot more if it were longer and as a unit, and that was totally true. pleasantly surprised! gonna go through this a few more times before i get back to the year-end albums i missed out on.